The two-week Classic Adventure is Wilderness Adventure's flagship trip! True to the Wilderness Adventure mission, The Classic Adventure is a full outdoor experience. You will camp in backpacking tents, cook back country meals on Whisper-lite stoves, and share the accomplishments of each day with your group and leaders by the fire each night. Just like the one-week Classic Adventure, we consider this trip the “sampler” as it exposes its participants to the best activities the outdoor adventure world has to offer. 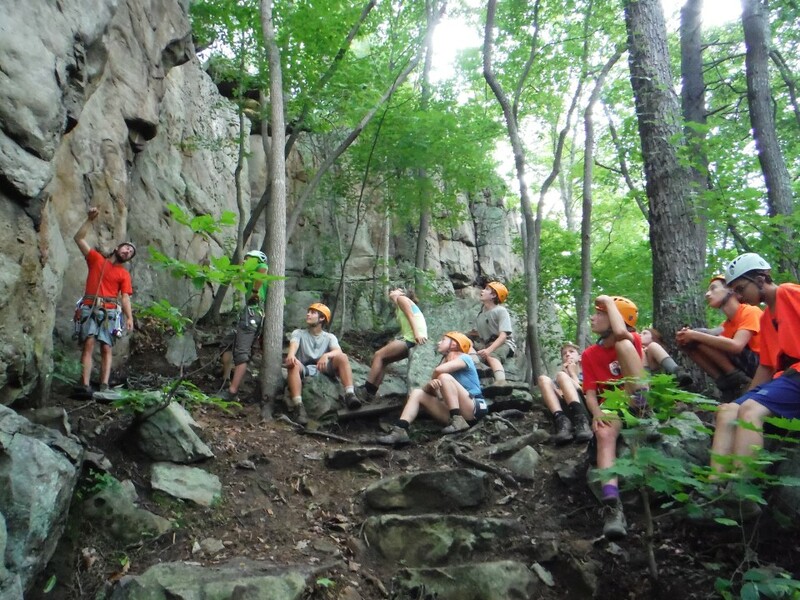 Activities that may be included in the Classic Adventure are backpacking, low elements, high ropes, 50' climbing wall, natural rock climbing, caving, canoeing, kayaking, outdoor living skills, our 900' zip line, and mountain biking for the 14-17 trip. 14 days is the best amount of time for getting as much out of your adventure as you can. You'll spend at least two days backpacking in Jefferson National Forest, camp on islands in the New River, learn to kayak, and so much more! Not to mention you'll have more time to spend bonding with your new friends and fellow adventurers. 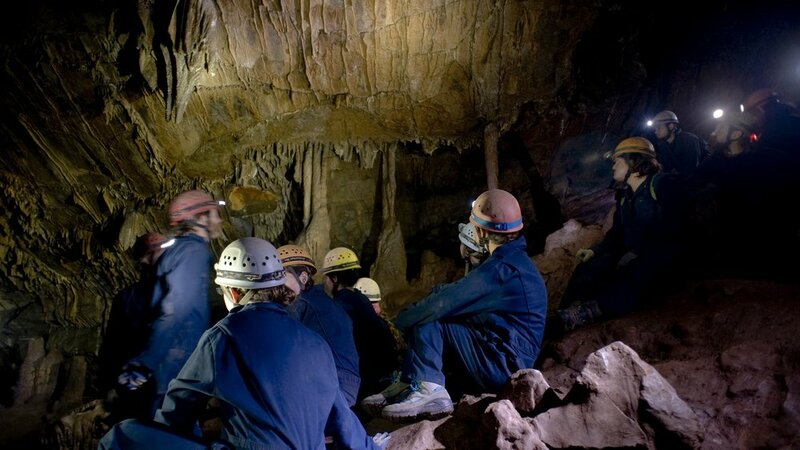 No previous experience is required as far as the activities go, but we do recommend that for the 14-day Classic Adventure you have been camping with friends or family previously and that this isn’t your first overnight trip away from home. We provide all the backpacking, camping, and activity gear. All you need to bring is moisture-wicking clothes and your toiletries. If you have your own gear you are welcome to bring what you have. To see what we recommend, check out our Packing List. For the first couple days you'll camp at our 500-acre Base camp while doing activities like Climbing Wall, Low Challenge Course, and Outdoor Living Skills to establish some basic skills and group awareness before striking out into the National Forest. Days 3-12 you will climb, bike, paddle, and backpack in some of the best trails, rivers, and rocks that the east has to offer. You and your group travel to new campsites and experience new facets of adventure everyday. Finishing Strong at our Base Camp, you'll join the other groups coming back from their adventures for a day of festivities and reflection. Fridays at WA are compete with WAlympics (Our WA-styled Olympics), the 900' foot zip line, the Spaghetti Dinner (cooked in an ACTUAL kitchen!- which will mean a lot at this point of your trip!) and a Closing Campfire where you see and share stories from the trail. Participants will learn the skills in order to camp in backpacking tents, pack all gear in one backpack, cook hiker-style meals on back-country stoves, and share the accomplishments of each day with your group and leaders by the fire each night. Participants will receive introductory lessons on skills such as shelter-building, fire-by-friction, wildlife tracking and identification, and basic wilderness first-aid. Finally workshops such as Leave No Trace will teach campers how to camp int eh outdoors while taking care of nature. 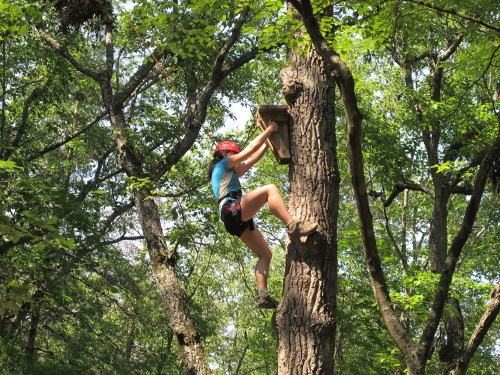 Campers will have on hands experience in the different adventure sports. Climbing on real rock, biking single track trails and kayaking through the new river will be a few of the experiences they will have while at Wilderness. This multiple sport adventure has been the cornerstone of our program for 25 years. For two full weeks, the trip takes participants smoothly from one activity to the next allowing them to gain a sense of accomplishment by attaining goals in a natural environment. This two week expedition will foster independence, confidence, team-building, and leadership as participants face obstacles and push their boundaries in a safe, supportive outdoor environment. They will also make great new friends!
" Wilderness Adventure has become our summer tradition in our house! Each of our 3 teens has eagerly looked forward to their chance to savor their experience for internally pushing themselves yet in a safe environment with knowledgeable staff. Each year they come home with huge smiles on their confident faces!"